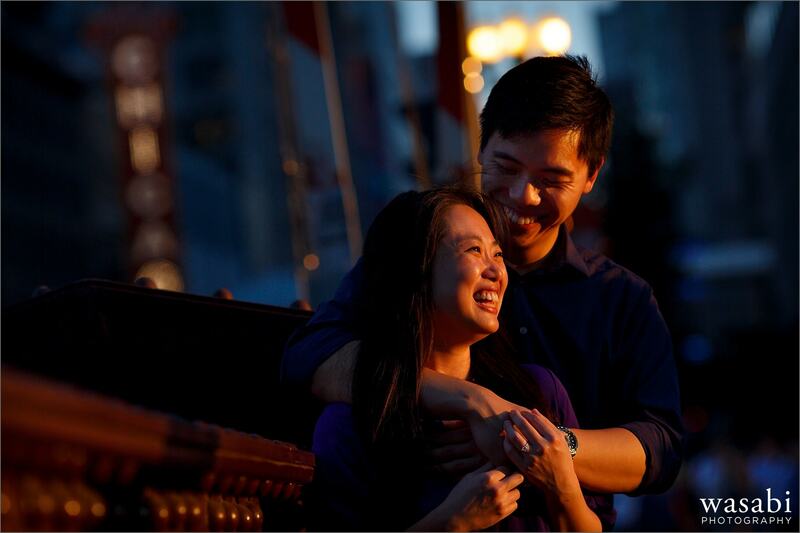 I met up with Christie and Garrett in Chicago’s Gold Coast neighborhood for their downtown Chicago engagement session. Our shoot began with a stop at Mariano Park, which is a place that they both enjoy. The park is a small triangle patch where Rush street meets State Street. From there we walked south down Michigan Avenue toward the River. 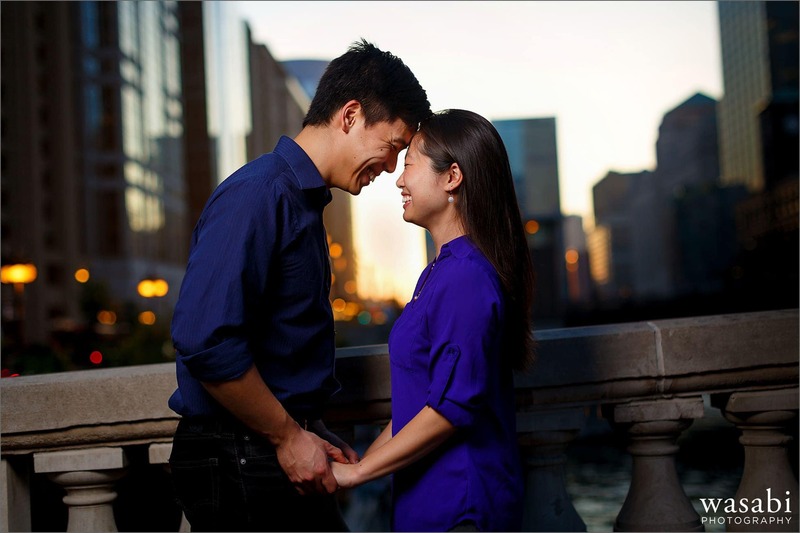 Chicago Riverwalk engagement photos are one of the most popular locations in the city for a Chicago engagement session. We were shooting at the perfect time of day and got some really amazing golden light. After an outfit change, we headed out to Olive Park for some classic night Chicago skyline engagement photos during “blue hour.” Thanks to Amanda Schwengel for her help again as a lighting assistant. I had a great time wandering the city and hanging out with Christie and Garrett. Looking forward to seeing you next month for your wedding!